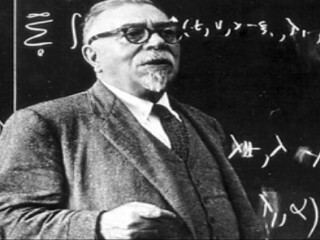 The American mathematician Norbert Wiener studied computing and control devices. Out of these studies he created the science of cybernetics. Norbert Wiener was born on Nov. 26, 1894, at Cambridge, Mass. His father, Leo Wiener, professor of Slavonic languages and literature at Harvard University, determined to train the boy actively and single-mindedly as a scholar. Norbert was driven hard on the way to becoming a prodigy; fortunately he had the intellect and energy to emerge without undue suffering. He graduated with a bachelor's degree from Tufts College at the age of 14 and obtained his doctorate at Harvard four years later. Wiener was awarded a traveling fellowship which he spent at the two centers where learning, especially in the mathematical and physical sciences, was perhaps the most significant and the most exciting in Europe: the University of Cambridge, England, and the University of Gottingen, Germany. After a varied career during World War I, he joined the Massachusetts Institute of Technology in 1919 as an instructor in the department of mathematics, and he remained on its staff for the whole of his career. There he was introduced to the work of the chemist Josiah Willard Gibbs, whose research on statistical mechanics, published in 1902, was a decisive influence in the development of Wiener's intellectual career. Wiener had been instructed in the Lebesgue integral by G. H. Hardy at Cambridge, and with this grounding and his recognition of the importance of Gibbs's writings, he attacked the problem of the Brownian motion and produced one of his first major contributions to research. About the same time he began work on harmonic analysis. He brought to bear on this problem the method of Tauberian theorems and by this means refined his theory of harmonic analysis and also produced simple proofs of the prime-number theorem. He also worked on Fourier transforms and wrote Fourier Transforms in a Complex Domain. At the same time that he pursued these studies into the field of quasi-analytic functions, Wiener was developing his interest in electrical circuits. The knowledge he gained on the problems of feedback control was of use when he became engaged in World War II on fire-control apparatus for antiaircraft guns. His interest in the parallels between feedback control in circuits and mental processes led to the creation of a new discipline which he called cybernetics, the study of control, communication, and organization. In Cybernetics (1948), his most influential work outside the field of pure mathematics, he propounded a new approach to the study of man in his technological environment, a science of man as component of an age of automation. On March 18, 1964, Wiener died in Stockholm.